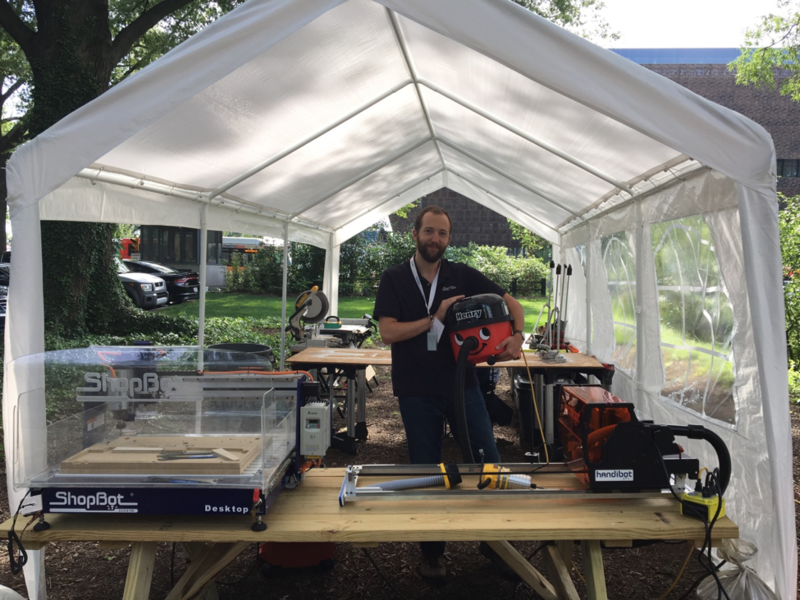 ShopBot Tools and Handibot Engineer, Brian Owen, was in Washington DC this June to help out as a technical advisor at the latest Make 48 inventors’ competition. 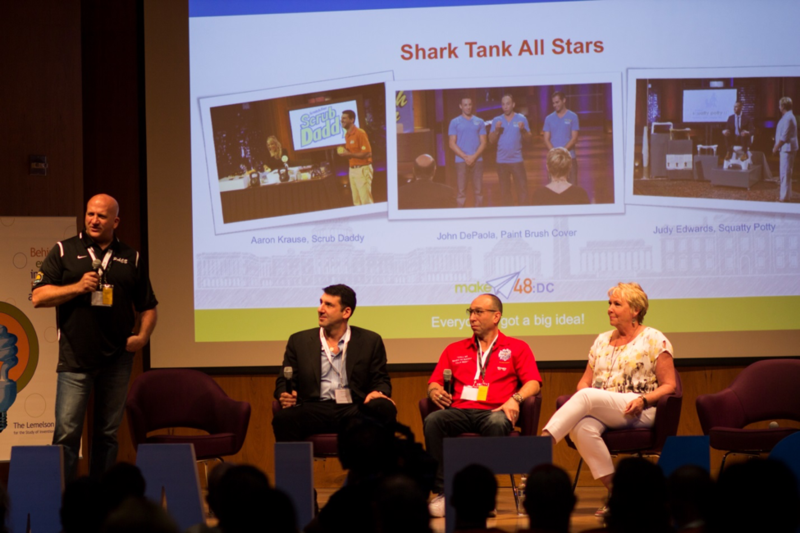 This was the third time that this rapidly growing competition has been held and the first time it has been held in DC. The theme for the competition was inventions that help conserve water, electricity and reduce waste around the house. 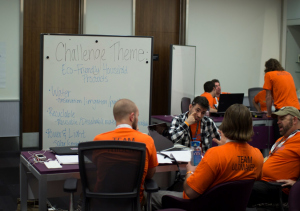 The event spans three days, with 48 hours for small teams to conceptualize, prototype and pitch a brand new product. Brian drove a Desktop and Handibot up to the Smithsonian’s American History Museum for the event. 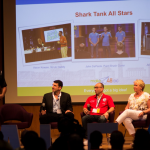 A panel of winners from the TV show “Shark Tank” spoke about their path to success and provided one on one advice to teams about how to design a catchy product. 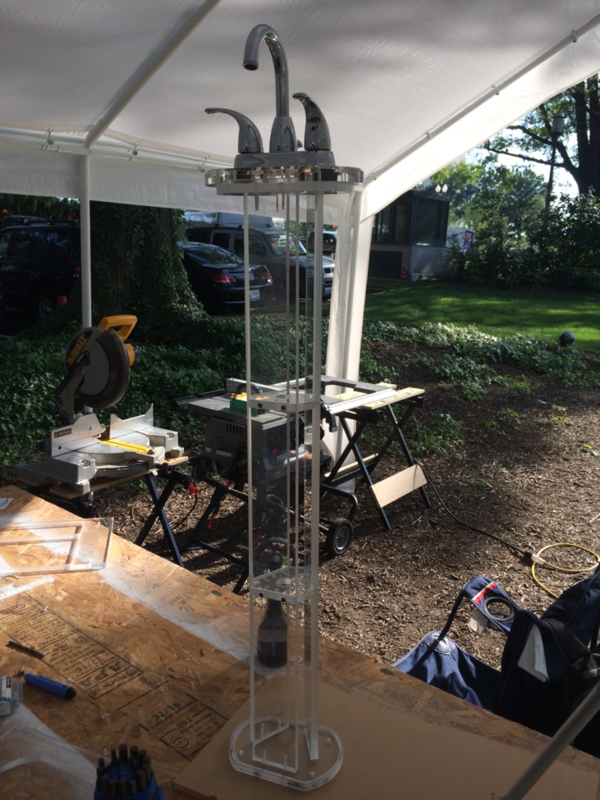 Brian set up a make-shift machine shop just outside the museum got to work on various parts for prototype products. One team wanted to create a lighted display stand for their product including an engraved name plate—easy work for the Handibot. After 48 hours teams were “hands off” on their products, and given three hours to rest before presenting their inventions to a panel of expert judges. Inventions ranged from small devices that alert the home owner about when to change out air filters all the way up to large systems that make composting much more convenient. 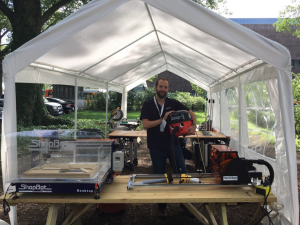 The range of ideas was fascinating and the speed with which these teams were able to create polished products is a testament to the way that digital fab empowers inventors to create without the need for a large up-front investment.